Ethiopia Teetering on the Brink: Who is responsible? Underneath the flashy ‘10-11% economic growth’ and the ‘peace & stability’ propaganda, there is a strong current of a storm that has been gathering in Ethiopia for quite some time now. The ethno-kleptocratic1 system of the last twenty-four years has pushed the political, economic, and social order of the country into wrong and dangerous directions. In the process, nurturing a divisive and polarizing political and social atmosphere in the country. The hegemony of corruption, nepotism, and exclusive kleptocracy of the Tigray People’s Liberation Front (TPLF) regime has left citizens in utter despair and humiliation, offering them nothing but a popular rebellion to reclaim their dignity. For the people of Ethiopia, the last two and half decades have been a dark voyage with daily destination of suffering in the enclaves of brutality under perverted interpretation of justice. The routine burden of injustice, the overwhelming weight of suffering and the constant state of humiliation have reached to unbearable levels. Hence, in the collective consciousness of the people contemplation of a rebellion is no longer a matter of an academic analysis or a monotonous past time conversation, but an expression in practice where one’s dignity and purpose in life is demonstrated in the act of rebellion itself. Authoritarian systems, as most of 19th and 20th centuries’ social thinkers and philosophers argued foment popular discontent and eventually pave the way for social rebellion and ultimately resulting in fundamental change. This has been and will continue to be the path of social evolution and social revolution of our human journey. In this regard, the situation in Ethiopia has reached a point where such social rebellion in fact has already begun. Defiance by journalists, students, farmers, factory workers, and many other segment of the society has accelerated to its highest level. Several forms of civil disobedience and popular resistance have begun in cities, towns and villages. As these brave citizens continue their multidimensional form of resistance, it is also apparent that a dying regime is determined to intensify its brutal attacks on innocent and unarmed civilians. Illegal arrests, torture, and extrajudicial killings, as reported by multiple international human rights organizations, have intensified. After declaring itself a ‘winner’ of 100% of parliamentary seats, the regime has become entangled in its own web of destruction, and as a result it has begun preparing its police and security forces for a full scale assault on citizens. The international community has a habit of sitting on its hands until violence erupts and lives are lost. We have seen this pattern of neglect and ‘see no evil, hear no evil’ attitude time and again with catastrophic results. The Balkan War and the Rwandan genocide are recent examples. The impending situation in Ethiopia can no longer be ignored. Primarily, because any crisis in Ethiopia will further exacerbate and most importantly engulf the Horn of Africa region, which is already in turmoil. South Sudan, Sudan, and Somalia have been involved in a major political, economic, and social crisis. Given these regional dislocations and their consequences, not addressing the emerging political, social, and potentially armed conflict within Ethiopia will only contribute to the unravelling of the entire region, which could be a serious blow to regional and global security. Thus, this would put pressure on the TPLF regime to respond to the legitimate demands of the Ethiopian people by using the leverage of monetary and other forms of aid the regime enjoys and uses to crack down on descent and sustain its military and security apparatus in which it uses innocent and unarmed civilians. At the same time, it is important that the people of Ethiopia, particularly those in political leadership positions opposing the TPLF’s unjust system, must learn from the legacies and experiences of past anti-colonial struggles including their own. Colonialism was defeated when those under the yoke of oppression and exploitation realized the European tricks of ‘divide and conquer’ pitting one group against the other only benefits the oppressor. Similarly, TPLF have skilfully manipulated and exploited the issue of identity as a political strategy to keep its iron grip of power. It is critical all groups realize this devious political ploy and come together to speed up the day when freedom of assembly, expression, and rule of law are guaranteed both on paper and in practice. After two false starts of popular uprisings, the first one in 1974 and the second one in 1991 where the people of Ethiopia anticipated the establishment of a political system rooted in democracy, justice, and liberty, once again they are edging close toward a third uprising, which they hope will fulfil their long betrayed and delayed dreams and aspirations. The road to freedom is always difficult and challenging but for the oppressed, terrorized, and marginalized the awareness that resistance as a moral imperative is the force that gives meaning to being alive. Finally, the international community and all peace loving citizens of the world must know that the full responsibility for any potential conflict or violence in Ethiopia, and its subsequent implications, squarely falls on the shoulders of the TPLF regime. 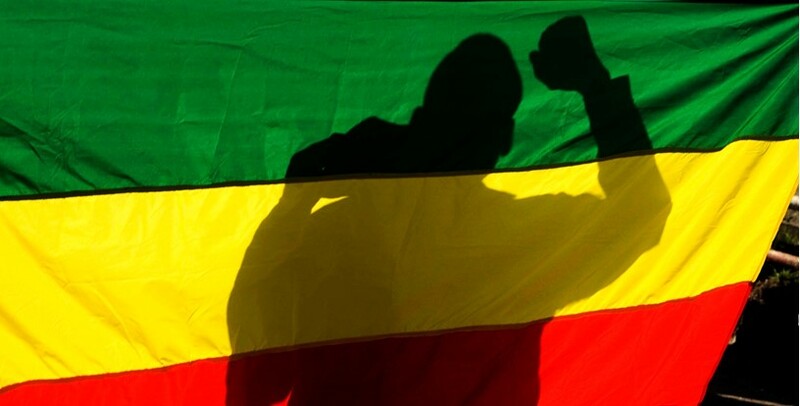 For twenty-four long years it has ignored the peaceful demand by the people of Ethiopia for establishment of a political and economic system anchored on democracy, justice, and freedom. In the absence of a rational response by the regime, to these demands of inalienable rights it is only natural to claim these rights by all means necessary.